In 1996 in Rwanda, wooden crosses mark the graves in a cemetery in the village of Nyanza in a rural area of Kigali, the capital. 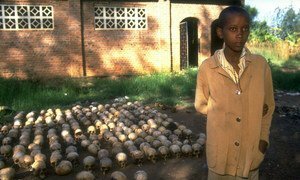 During the 1994 genocide, over 10,000 people were burned to death in Nyanza as they tried to escape towards Burundi. 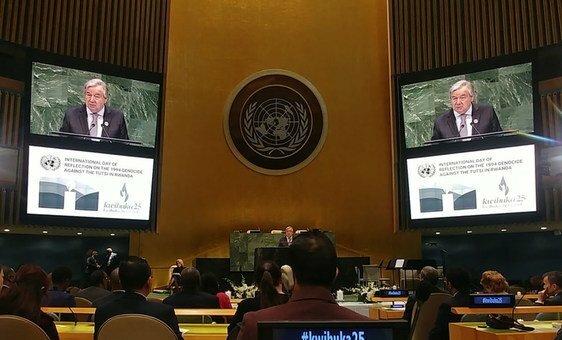 “Miraculously I had no machete marks” a survivor of the Genocide against the Tutsi in Rwanda told a solemn United Nations event in New York on Friday, 25 years on, to remember the systematic killing of more than one million people, over less than three months. But slowly, she discovered there were other widows - a new kind of family - adding that the “widows clan” helped her to be “truly alive” and no longer “dead on the inside”, and together with other female survivors, she founded the widows' association AVEGA. 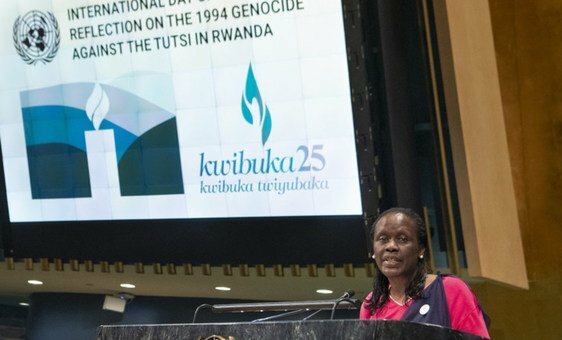 On Rwandan genocide anniversary, UN leaders ask: Can world muster the will to prevent new atrocities? 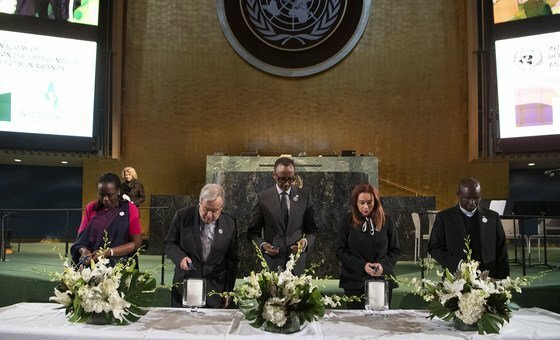 As the world officially remembers the genocidal murder of 800,000 Rwandans in 1994, United Nations leaders warn that ethnic cleansing and mass atrocities continue to blight humanity and call for sharper action to prevent such wholesale violations.